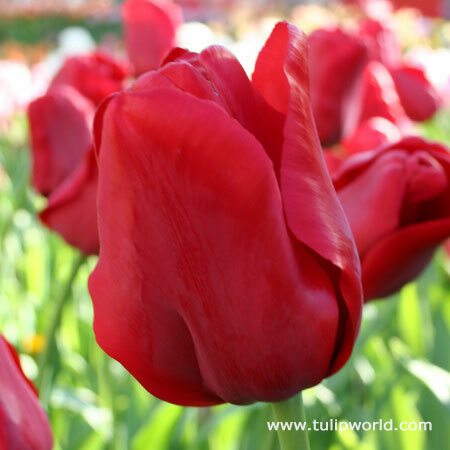 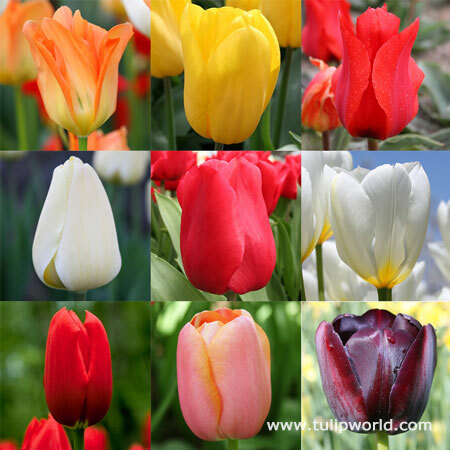 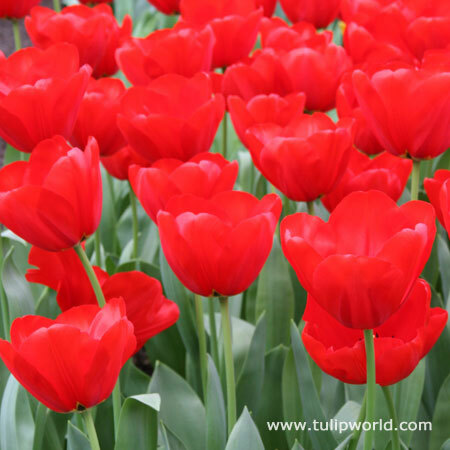 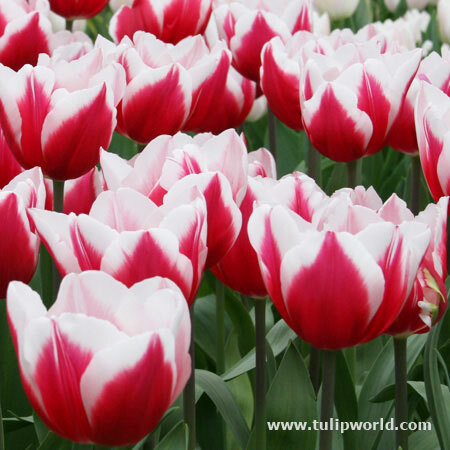 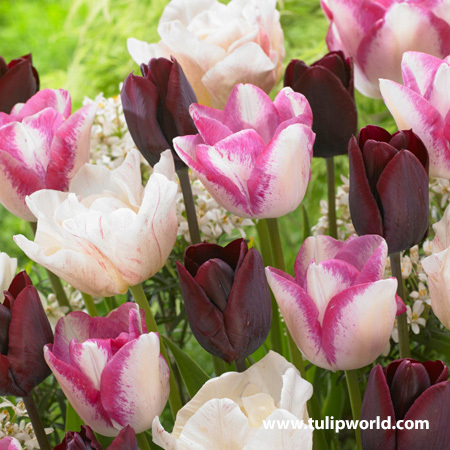 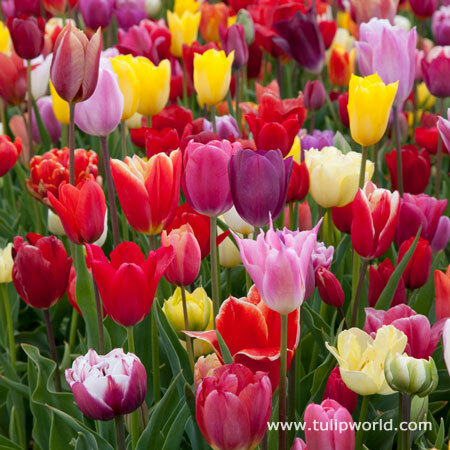 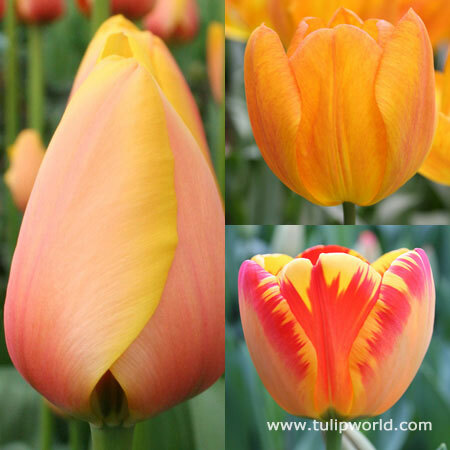 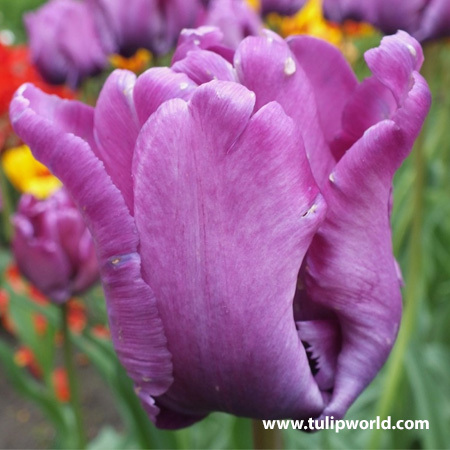 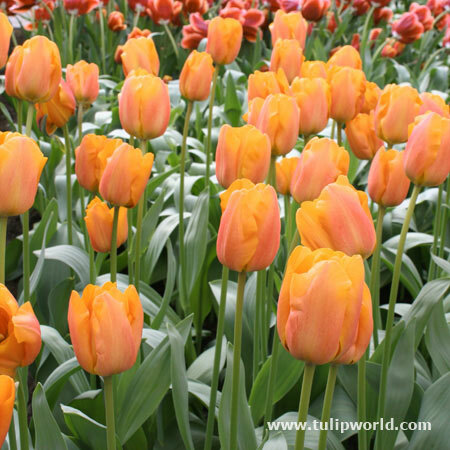 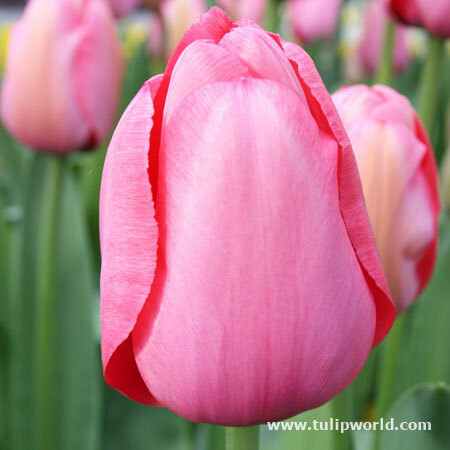 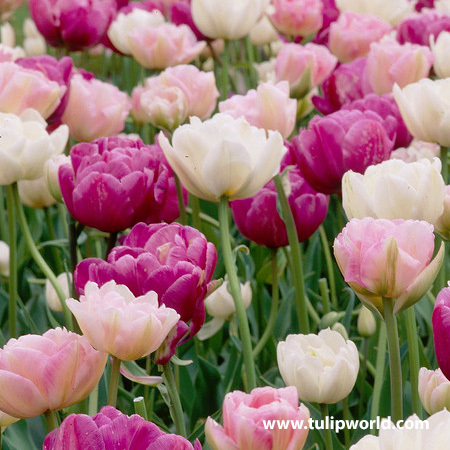 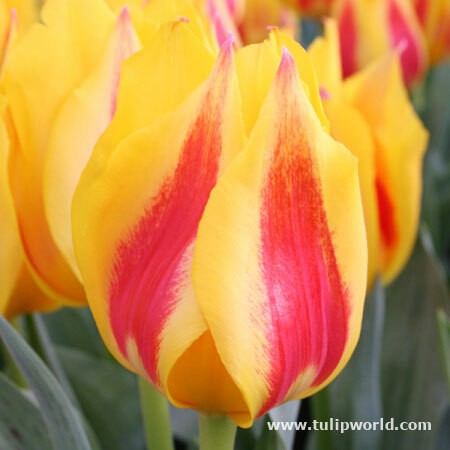 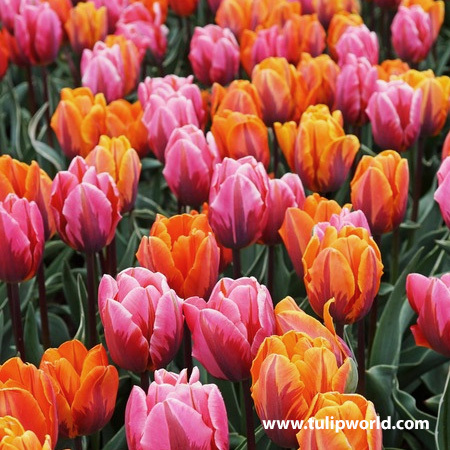 Shop for tulip bulbs with our selection of over 100 different varieties. 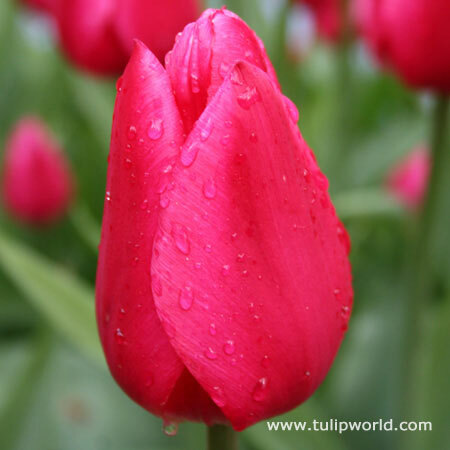 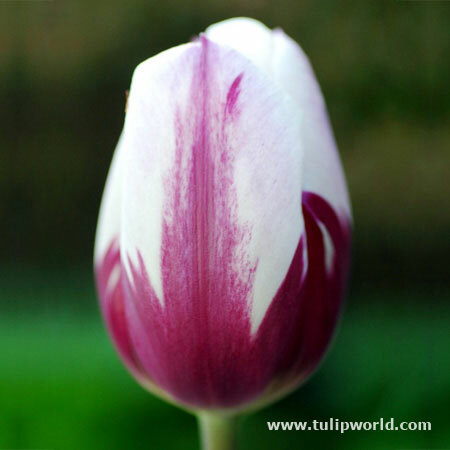 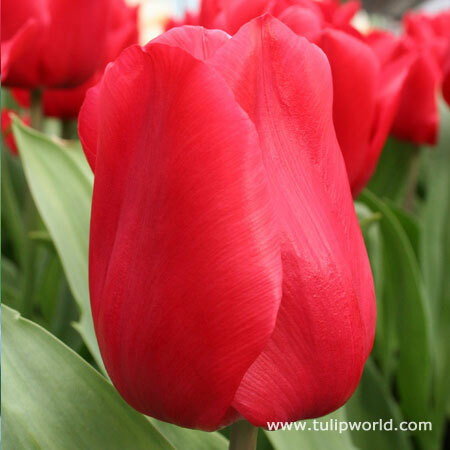 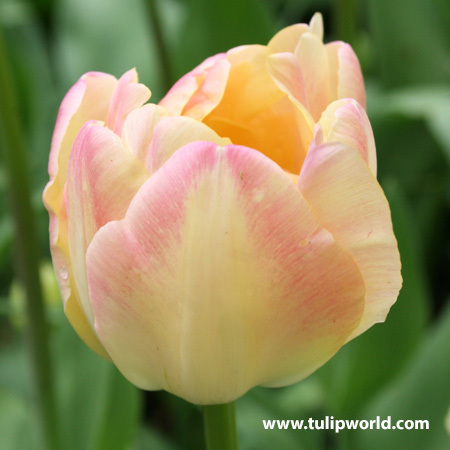 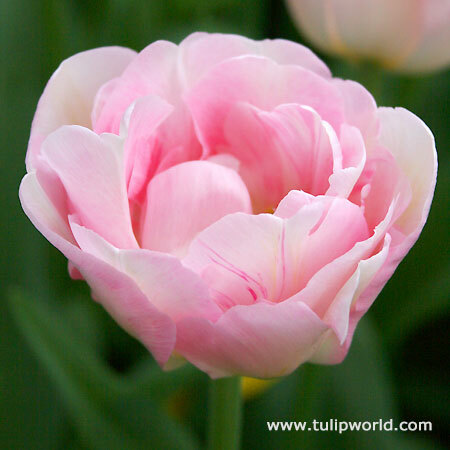 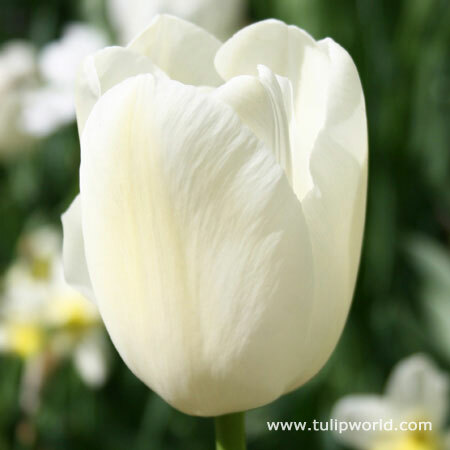 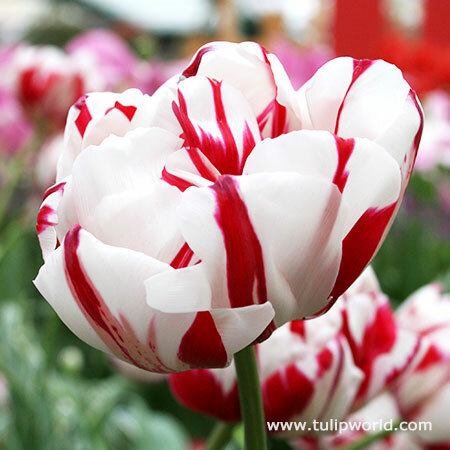 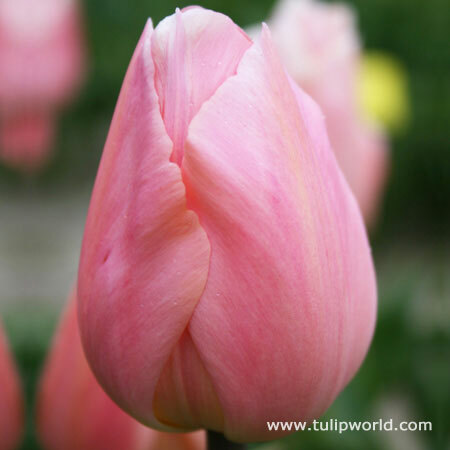 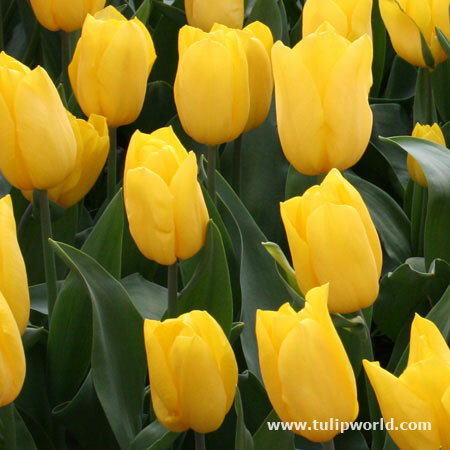 We offer many types of tulip flowers, single blooming tulips that bloom early spring and late spring are popular. 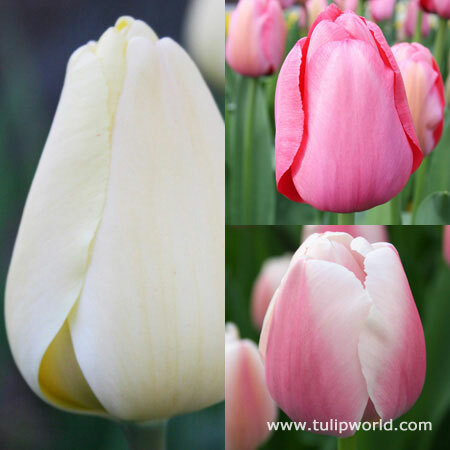 Reliable perennial tulips like Fosteriana, Darwin Hybrid Tulips, Kaufmanniana and Greigii tulips will return in your garden for a couple seasons. 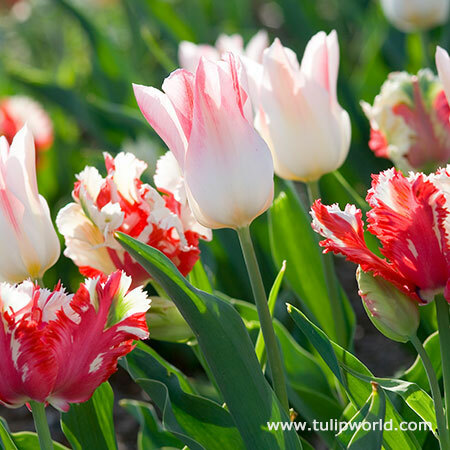 Fancy and frilly varieties such as Parrot Tulips, Double Early Tulips, Double Late and Lily Flowering Tulips add style to your spring garden. 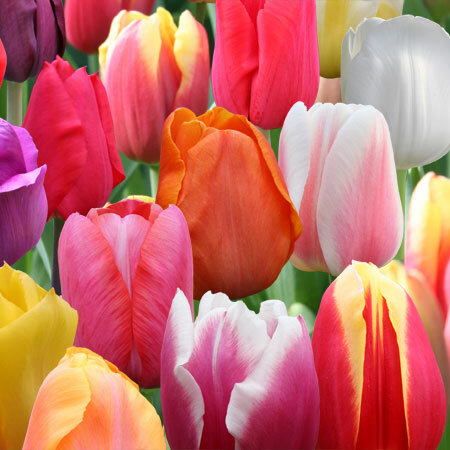 Our low prices on tulips are appealing to landscapers, schools, and municipalities looking for bulk tulips at wholesale prices. 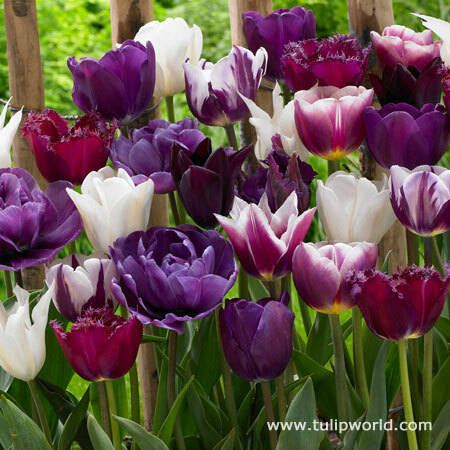 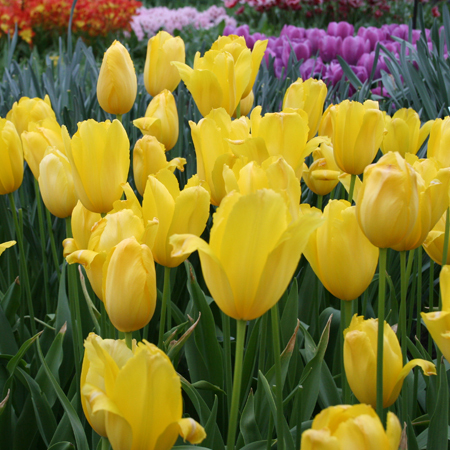 We package our tulips with a minimum of 25 bulbs per package, as they are best planted in large sweeps of color. 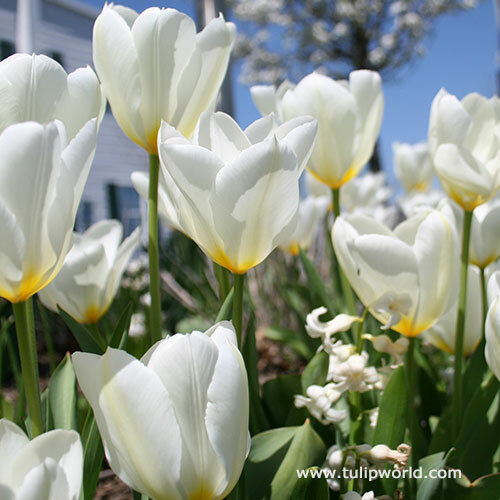 Plant 5 tulip bulbs per square foot for the biggest impact.